The natural latex is from rubber tree, milk white, solid content is 30%~40%, and the average diameter of solid is 1.06um. The fresh natural latex contain latex 27%~41.3%(m/m),water 44%~70%, protein 0.2%~4.5%, natural resin 2%~5%, saccharides 0.36%~4.2% and ash 0.4%. 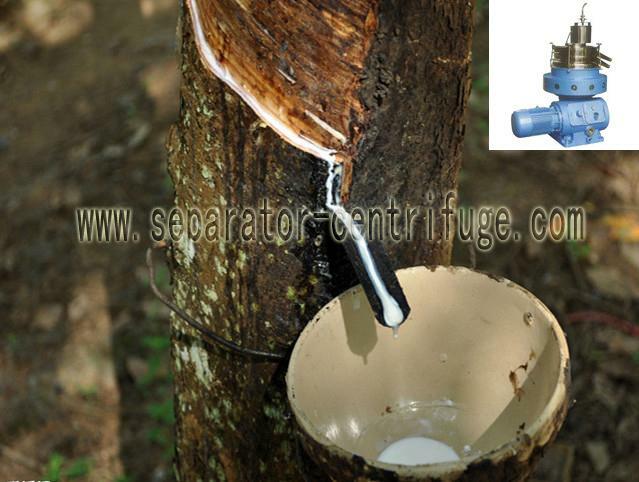 To facilitate transportation and processing, natural rubber latex should be concentrated to the solid content of 60% by adopting the method of centrifugal or evaporation. So it also known as concentrated latex. 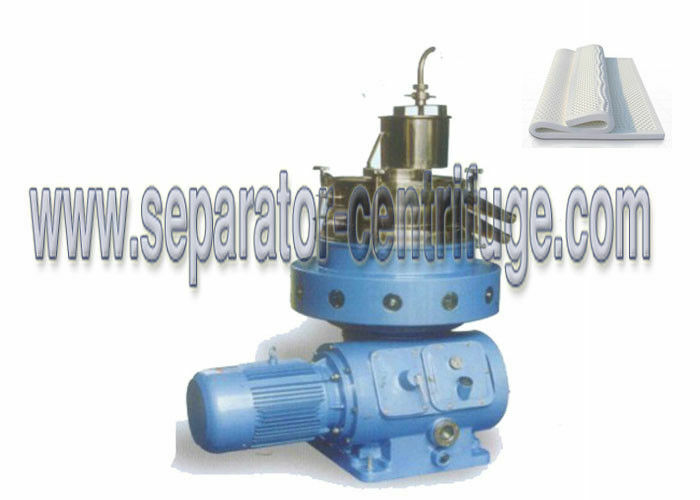 Latex separator model PDSLA-400/600 is suitable for concentrating and purifying of the natural latex. It can separate the latex into the cream and skim, as well as eliminate the solid impurities at the same time. 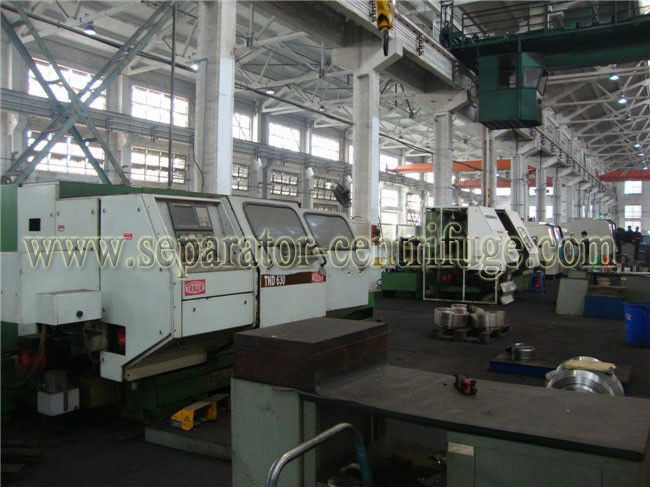 This model of separator is provided with the following advantages: inverter start-up, el. magnetic brake, short stopping-and long effective separating time, large treatment capacity, good separating efficiency. 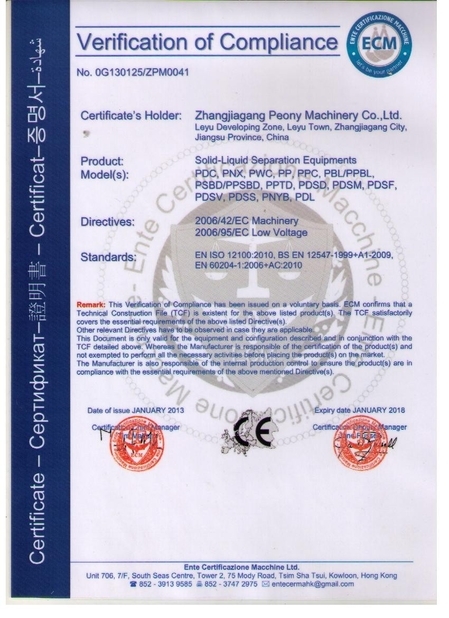 It is really a excellent equipment for the latex production. The bowl rotates at a high speed round the main axis, driven by a motor through hydraulic coupling and screw gear pair. stock liquid flows from the upper feeding pipe into the bowl's bottom and then will be separated through holes of disc seat. by the action of centrifugal force field, heavy liquid flows along the inner wall of discs to the inner wall of the bowl, after up flowing along them, it will be discharged by the heavy liquid pump, the light liquid will be done by the light liquid pump, which flows along the inner wall of discs into centre pipe and then up to high liquid outlet. the larger solid phase particles left will sedimentate on the bowl's wall and then will be discharged, controlled by the sliding bowl, out of the sediment outlet.